Our mission is to support students and parents by providing essential social and educational resources on their behalf. We are dedicated to working together within a proactive and caring environment to enable students and families to reach their full potential as life-long learners and contributing global citizens. Our belief is that every human being will succeed if given the right tools, structure, and opportunity and is treated with consistent care and respect. Our goal is to enhance personal and academic achievement by promoting respectful, inclusive and healthy working partnerships within our school system and neighboring communities. We ensure that we will exercise integrity and remain approachable, appropriate and accountable. The PAC's elected Executive includes: President, Vice-President, Secretary and Treasurer. We also elect Members at Large, who play vital roles in volunteering and show their commitment to the PAC. In addition to the Executive are the essential non-executive members who are vital to help meet PAC’s mission. If you are a parent at George Jay, then you are automatically a PAC member! And we want to hear from you! Every year the PAC Executive applies for, and receives, an annual grant from the provincial gaming revenue of $20 per student. Gaming monies are to be spent on non-educational related items or events. In the past, PAC has used this money to help fund teacher-led field trips; purchase awards; track and filed uniforms; arts and cultural events; and to support fun events like the Hallowe’en Dance. Other funds raised directly by the PAC are spent on items and activities that enhance the educational experience for students, such as: library books, earthquake emergency kits, new playground equipment. Fund-raising campaigns that help sustain what we do include: the Holiday Emporium, Monk’s Office Supply program, Campbell Soup Labels for Education, Movie Nights, The Soap Exchange, Poinsettia Sales, Scholastic Book Fair. We are working on enhancing our fundraising opportunities with Thrifty’s Smile Card program and Car Washes. If you have a fundraising idea, please let us know! From September through to June, the PAC meets the last Wednesday of every month at 6:30pm to 8:00pm in the George Jay Parent Resource Room (entrance through main door). Every parent is a voting member of the PAC and you are welcome to attend any meeting your schedule will permit. During these meetings, child-minding is provided for any children coming with their parent(s). Kids usually watch a movie with an adult while the meeting is in the next room. If you have an agenda item you would like to discuss, please email us at georgejaypac@gmail.com or leave a note in the PAC drawer located in the office. The agenda is posted on Facebook prior to each meeting or can be viewed on the PAC bulletin board (outside the office). Also please note, any sensitive or personal letters, or any cash sent to school for whatever reason, please use the PAC Apple lock box located in the office by Ms. Mitchell’s desk. 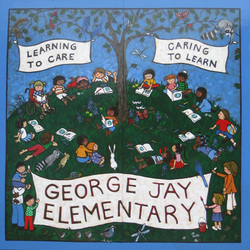 PAC meeting agendas, minutes and contact information is posted here on the PAC website and on the George Jay School Website.